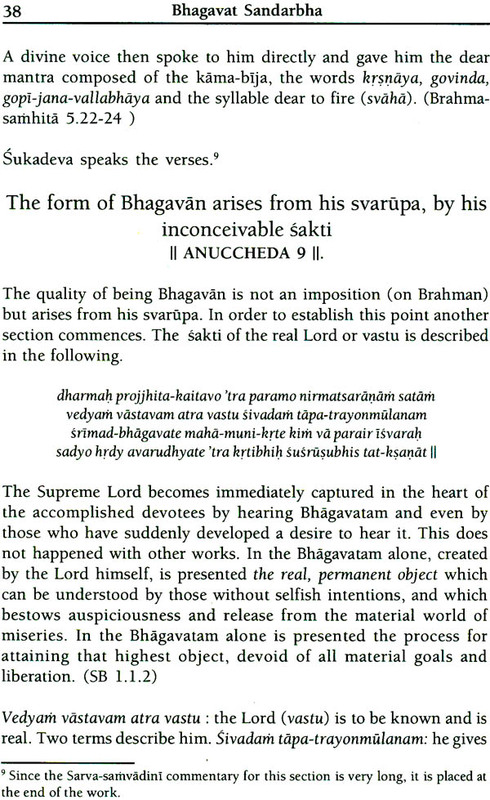 The syllable bha means the bestower and the maintainer. 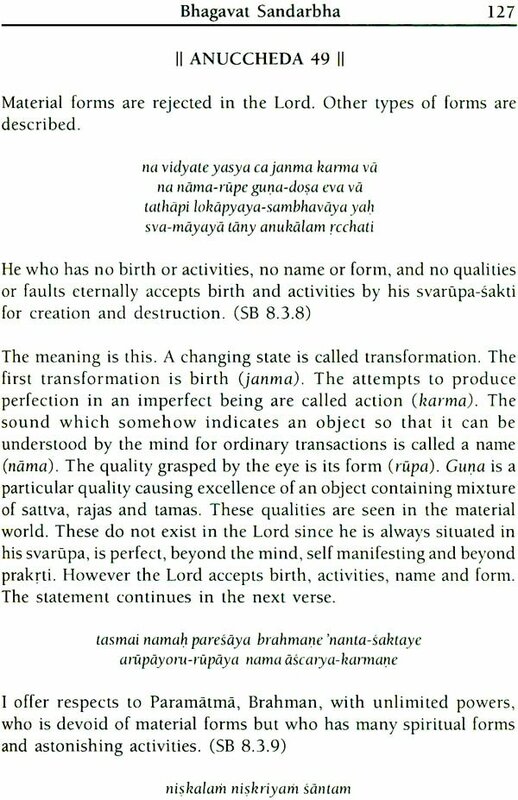 The syllable ga means the giver of Prema, creator of qualities in the devotee and the cause of going to Vaikuntha. 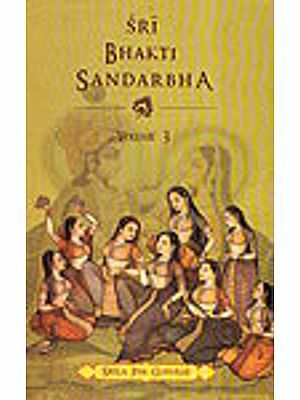 The six bhagas are complete control, influence, good qualities, wealth, knowledge and renunciation. 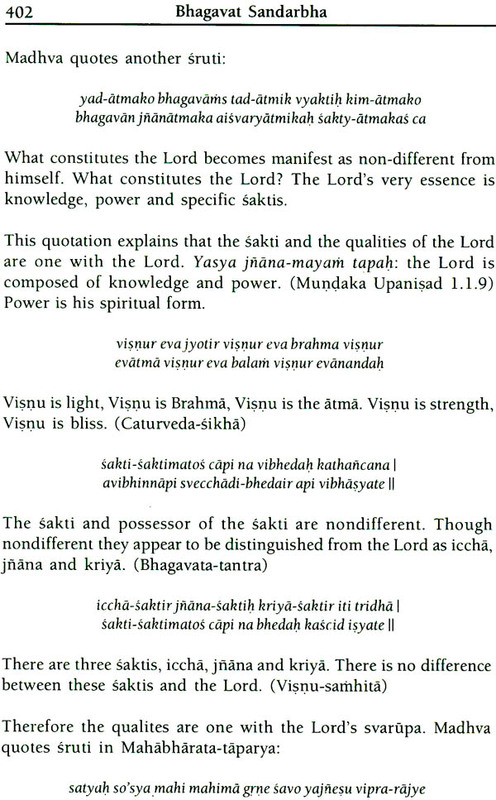 The syllable va means the indestructible Lord in whom all beings dwell and who dwells in all beings. 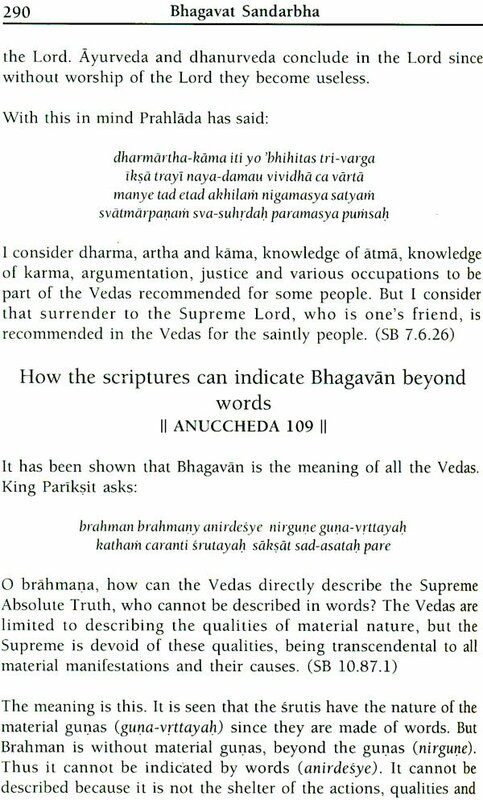 The word bhagavan means that he is complete with power of mind (omniscience), power of sences, power of body, influence, control, and beauty, and is devoid of all inferior qualities. 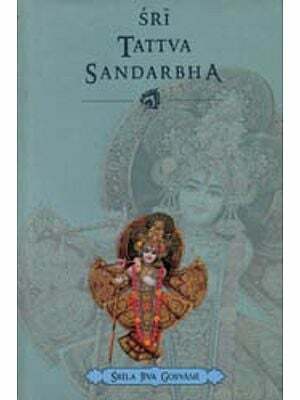 Bhagavat Sandarbha is the second Sandarbha. 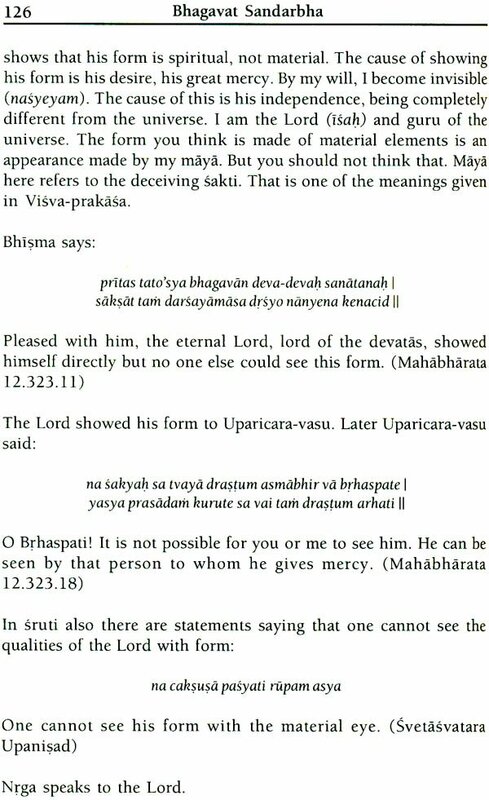 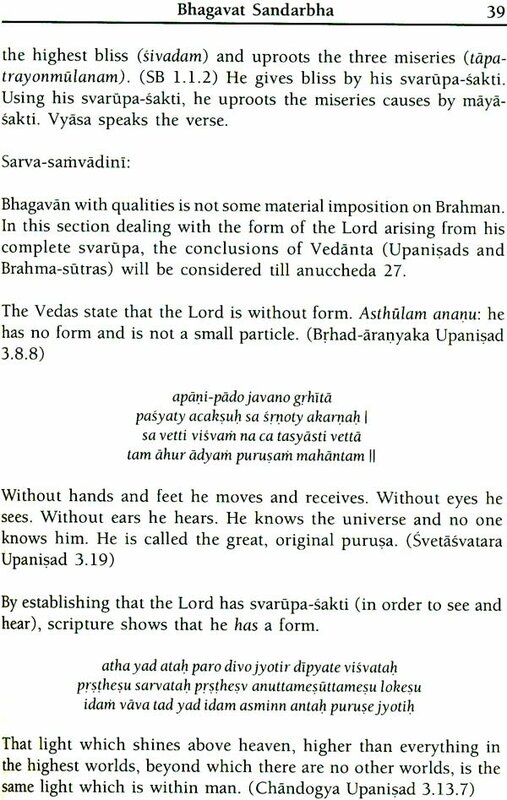 After showing in Tattva Sandarbha that the principal proof among all scriptures is Bhagavatam, jiva Gosvami also indicated that the subject presented in Bhagavatam is Bhagavan. 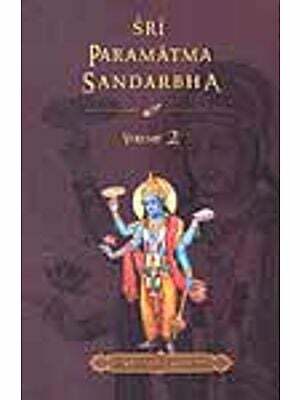 This Sandarbha commences to describe Bhagavan, distinguishing him from Brahman and Paramatma. 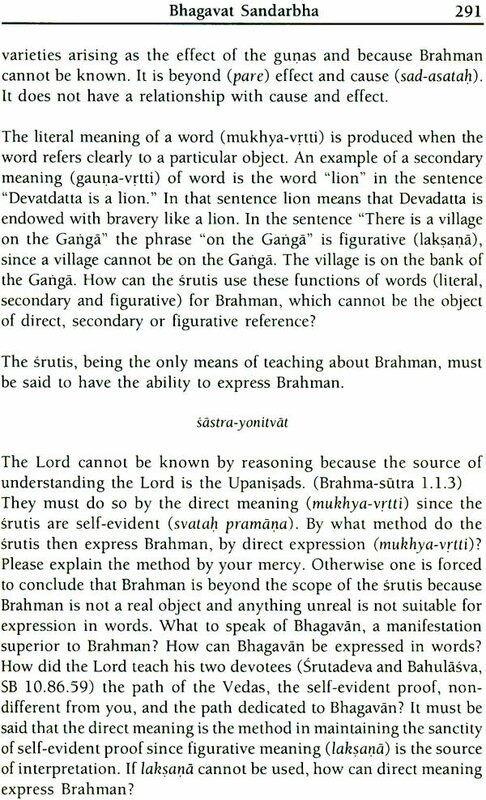 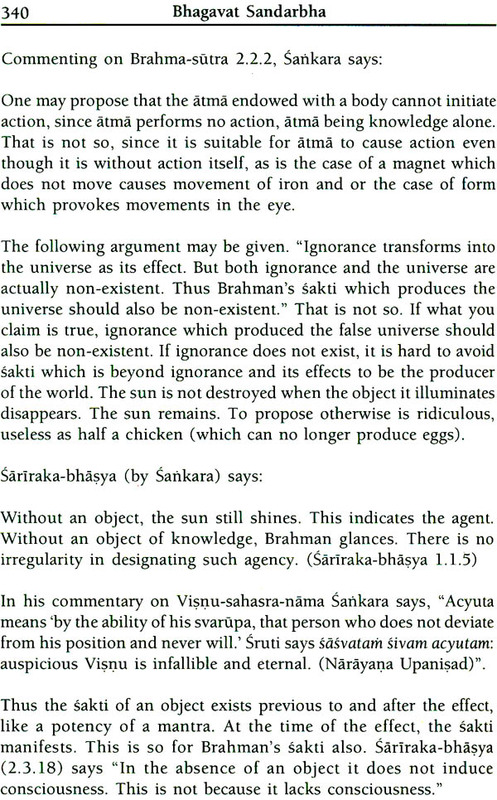 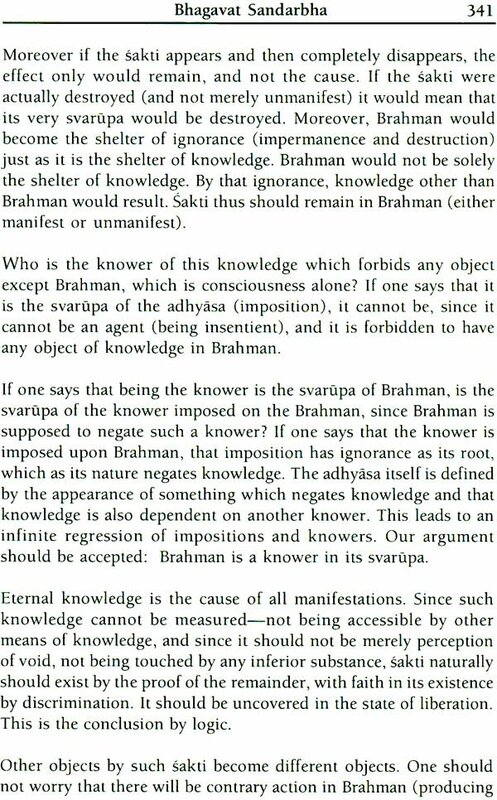 Since Brahman is merely an incomplete realization of Bhagavan, a separate Sandarbha is not need to describe it. 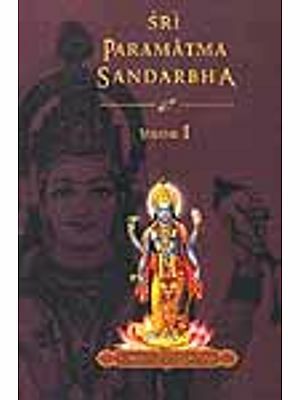 Paramatrna, however, having special functions related to creation of the material world and manifestation of the jiva, is described in the next Sandarbha.